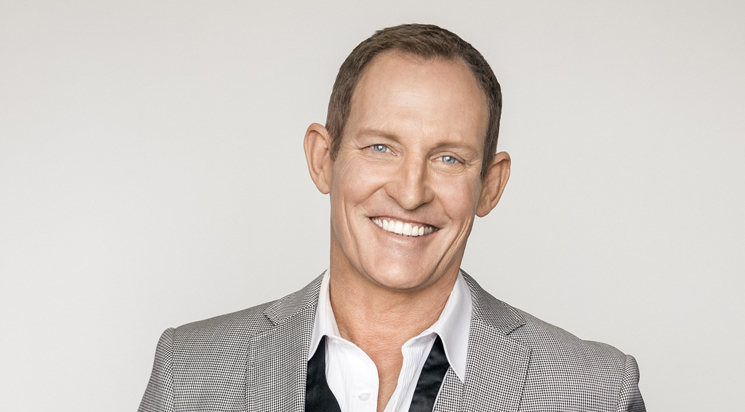 Inspiring, provocative, compelling and generous are just a few words that describe the critically acclaimed and award winning performer, actor and host – Todd McKenney. A household name in Australia, Todd’s versatile career has spanned three decades and shows no sign of slowing down. Already known as Australia’s leading man of song and dance musicals, since 1994 he’s also been the ‘colourful’ and often controversial judge on the Channel 7 hit series ‘Dancing With the Stars. Now in it’s tenth year. Todd began dancing at the age of three at his mother’s dancing school in Perth, training in jazz, tap, acrobatics and ballroom dancing. He has represented Australia in ballroom and Latin American dancing, winning many international dance titles. Amongst his Australian awards for performance in musical theatre are two ‘Mo Awards’, the ‘Variety Club Heart Award’, the ‘Glug Award’, the ‘Green Room Award’, two ‘Australian Dance Awards’ and a ‘Helpmann Award’. He was cast in his first professional musical, Andrew Lloyd Webber’s Song and Dance, in 1983. From here Todd’s career has followed a very neat trajectory with lead roles in Cats, 42nd Street, West Side Story, Crazy For You, Born Yesterday, Camelot, Pirates of Penzance, Cabaret, Strictly Ballroom, La Cage aux Folles, Singin’ In the Rain, Anything Goes, The Boy From Oz, Priscilla Queen of the Desert, and more recently Annie the Musical. Todd co-hosted Sydney’s MIX106.5FM breakfast radio program with Sonia Kruger in 08/09 and regularly fills in for Larry Emdur on Channel 7’s, ‘The Morning Show’ with Kylie Gillies and “Australia’s Got Talent.” It was landing the prized role of Peter Allen in the Australian hit production The Boy From Oz that confirmed his star status on stage. The Boy From Oz performed over 900 shows nationally and is one of the longest running and most successful musical productions in Australian history. In addition, for the past six years Todd has been studying ‘Auslan’ sign language and has worked within the deaf community all around Australia. He also works for the Children’s Cancer Institute Australia on their Diamond Ball Committee and helps raise much needed funds for research to find a cure for children’s cancer. Todd had the delight of becoming a father in 2007 and his daughter Charlotte is the light of his life. In 2013 Todd played the role of ‘Pluto’ in the 2013 Opera Australia season of “Orpheus In the Underworld” directed by Jonathan Biggins. As well as working on Sydney radio station 2UE 954 for the Friday Long Lunch with Stuart Bocking, Todd has launched his new business Todd McKenney’s Centre Stage Tours where he hosts ‘dinner and a show’ Todd style.